See that tower in the distance? It’s really, really, really far away. is located, with my mom and brothers. 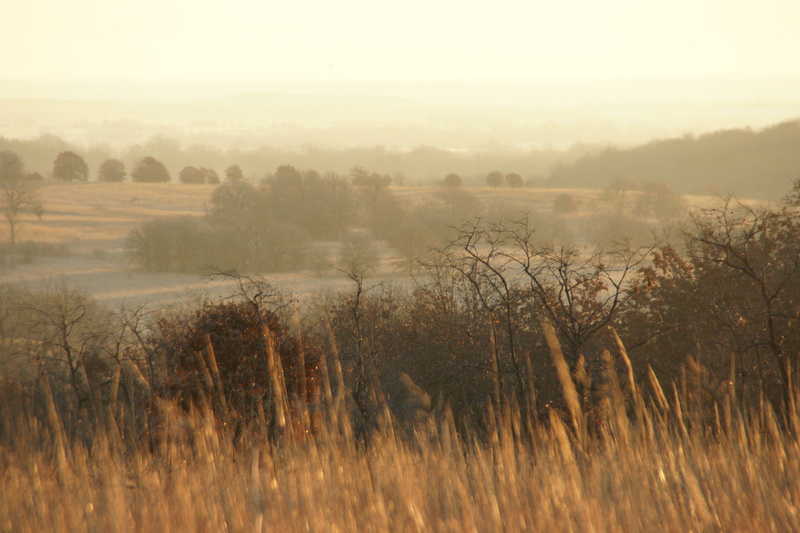 But before I tell you about that I wanna share a little bit of my true home state and region – Northeast Oklahoma. I didn’t get the chance to walk around and photograph my childhood home (well the land anyway – the house is long gone) and time was too short to make it to Tahlequah (the place where my love for Oklahoma was rekindled and the connection to my tribe deepened). But the hills above Denver’s home town of Ochelata were a huge part of my life and shaped my connection to nature and the world around me. Hey look, a castle! 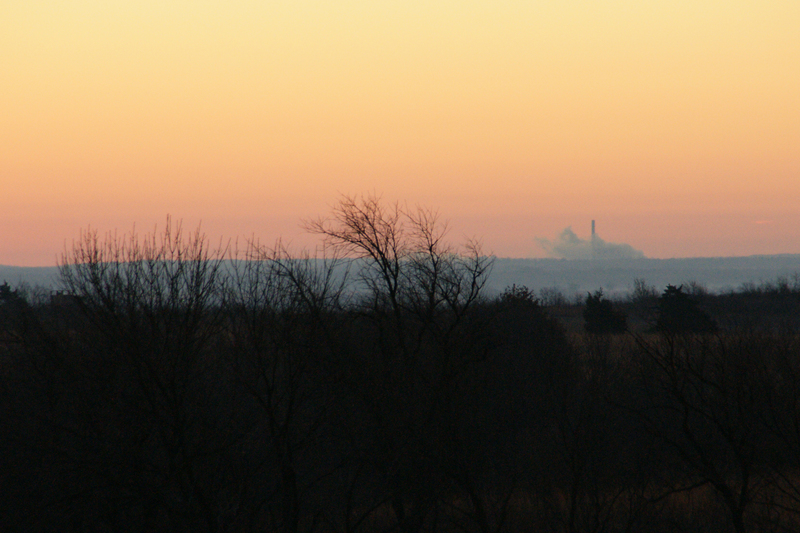 Oh wait, that’s just the power plant all the way over in Oolagah. Denver’s home leave started about a week before ours. I would call him from Brussels as he was taking in the sights from Graveyard Hill above Ochelata at sunrise. For him, the clouds provided an amazing backdrop for the land that stretches for miles and miles into the distance. He couldn’t wait for me to get there so I could capture that sight on something other than a smart phone. But the OK weather had other plans, and as the high temperatures plummeted from the 60’s to the 40’s the day before I arrived in OK, the clouds also took their leave. 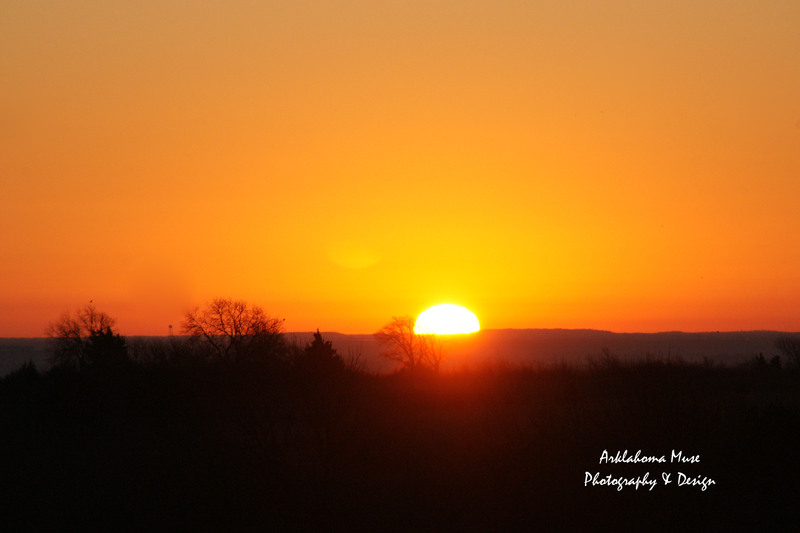 Each morning the sky was completely cloudless! Watching the sun rise was definitely worth getting up and around and out into the cold. So making the most of the situation, and taking the opportunity to practice photographing sunrises, we got up before the sun, bundled up, and made our way up to the graveyard. I still have a lot of practicing to do, but it wasn’t a bad first try. And I am much better at early rising these days. Not long ago, I would have taken someone’s arm off if they tried to get me out of bed early. 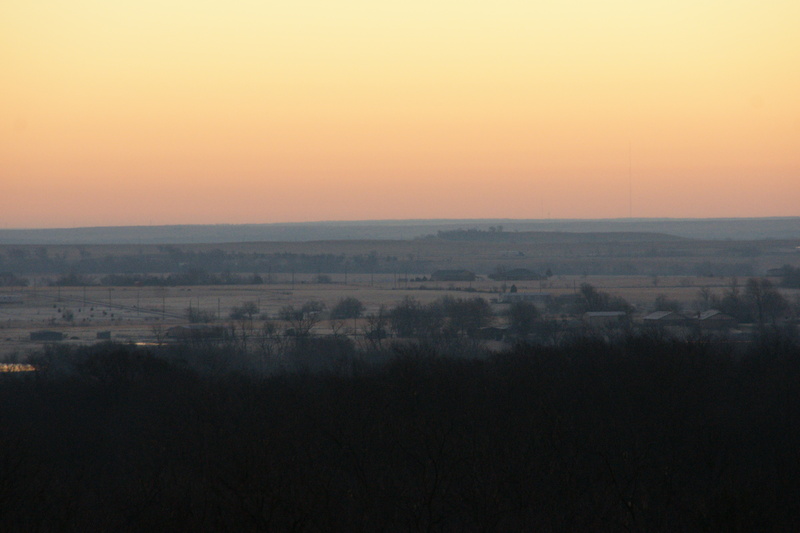 Early morning frost in the valleys of Osage County. 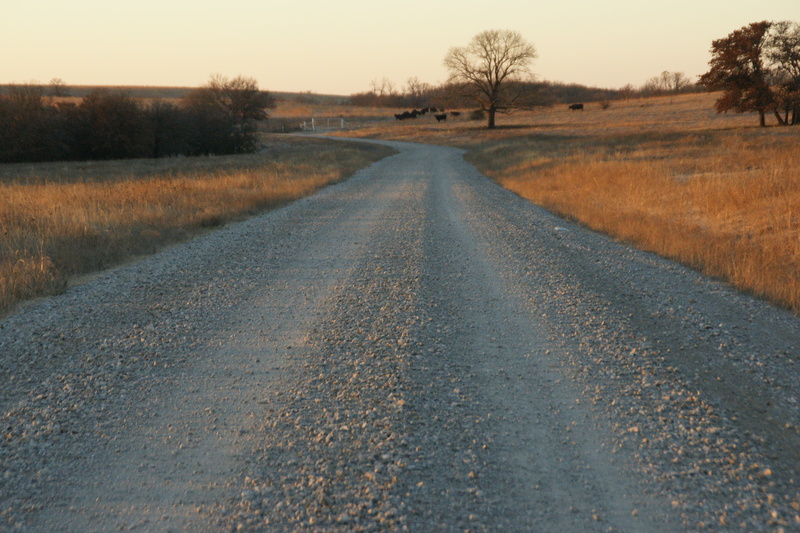 After watching the sunrise – and while waiting for my eyesight to return – we hopped back into the truck and drove around the back roads of Osage County that I know so well. As a kid, we used to drive from our house outside of Skiatook to my grandmother’s in Avant, through Ochelata, and onto Bartlesville for trips to the orthodontist – or just to go shopping. I even learned how to drive on those roads! Going back home again, I am reminded just how much the post August/Winter palette of the countryside is soooo limited. Coming from green, lush Belgium, it was a bit of a shock at first. But this time I was finally open to seeing the beauty that is there, especially when you venture out when the world is just waking up. 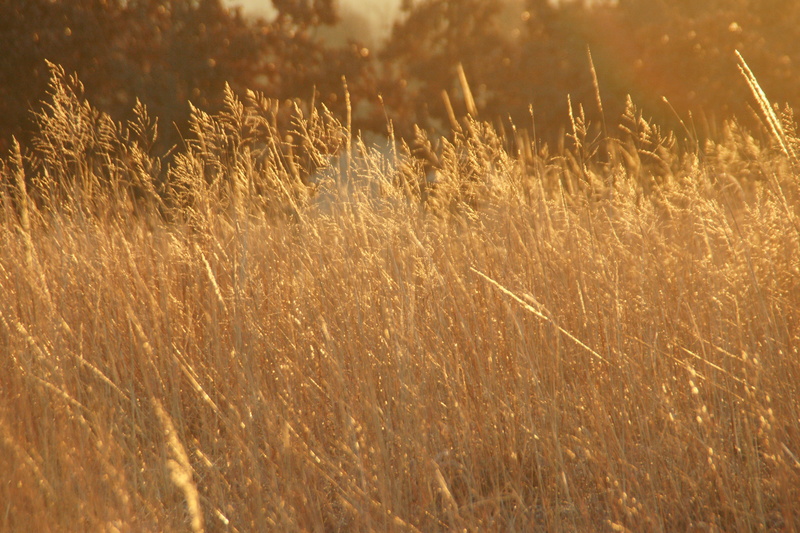 The gold of the prairie grasslands, illuminated by the rising sun is just gorgeous. I vaguely remember that from my early childhood. 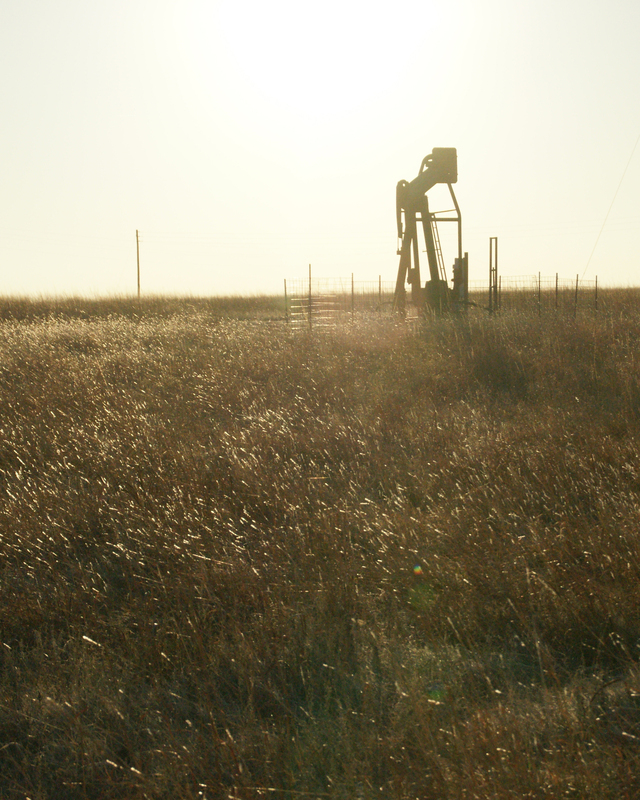 And the presence of the oil pumps, tanks, and power lines, remind me of the promise that the land held (and still holds to some extent) for those who called Osage County home. These pumps dot the countryside, making a noise that used to remind me of drums in the distance and became as familiar to me as my own heartbeat. 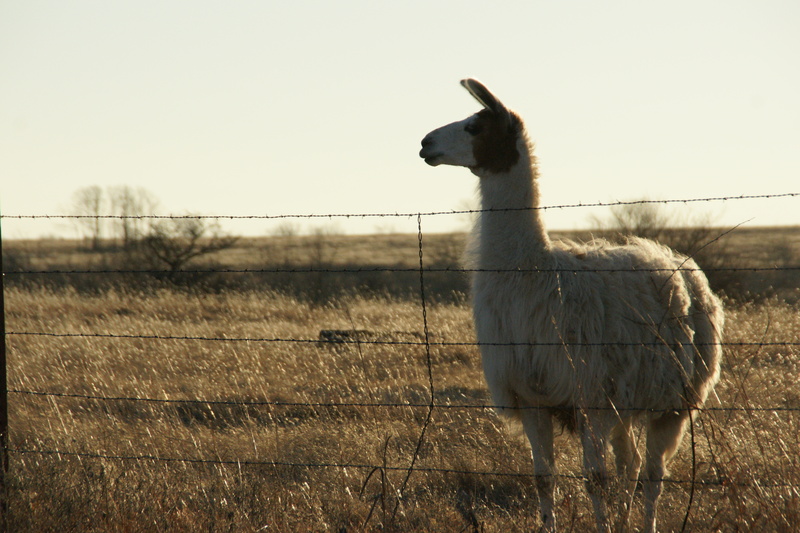 Then we found a llama. Not a common sight of my youth. This guy was transfixed on something in the distance. He seemed mildly annoyed that I was there. Did I mention it was really, really cold the morning I went out before sunrise? Beautiful photos! Makes me miss home! I’m a Tulsa gal! We moved to Tulsa when I was 12, so for the most part, I am too! Went to middle school at Foster, High School at Union (using my dad’s address), and ended up coming back to finish up my degree at TU. Have you been back lately? They have done some awesome things downtown! And I finally got my Golden Driller pic this time. Sad to see the parking lot where Bell’s used to be. Union?! I graduated from Owasso. Can we settle our differences? Ha ha! It’s been a few years since I’ve been home and it always sounds like something new is happening. I have fond memories of Bell’s.